Welcome to today's edition of Nerd Alert, where we have all the eccentric, nerdy news for you in one convenient spot. What do we have in store for you on this fine Wednesday? 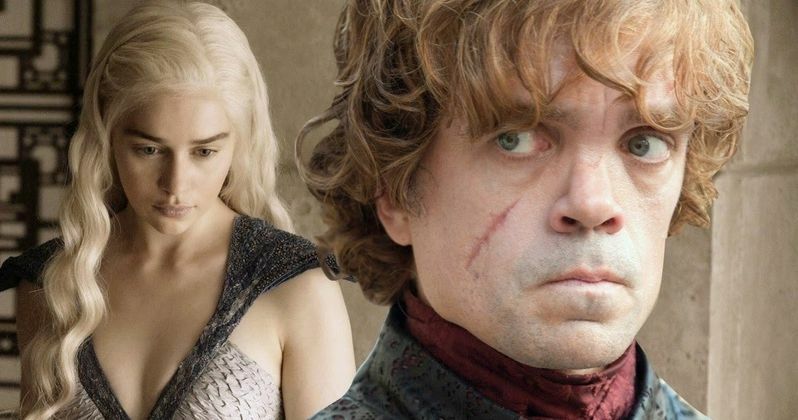 The iconic Game of Thrones theme song gets an 80s remix, one creative Star Wars fan makes an X-Wing drone, Entourage gets an honest trailer, and much more. So, sit back, relax, and check out all that today's Nerd Alert has to offer. If you haven't watched Game of Thrones' last episode "Hardhome", there will be big SPOILERS, but for those who have, YouTube user simonb02 has put together a hilarious video which mashes up that episode's epic final scene with Michael Jackson's classic song "Thriller." It's astonishing how well this scene and song come together. Visit simonb02's Youtube page to check out the video, since embedding was disabled. A French Star Wars fan named Olivier C has turned one of his drones into a fantastic X-Wing ship. The X-Wing is just the latest Star Wars ship this enterprising man has made out of drones, with others such as the Millennium Falcon, The TIE Interceptor and the Imperial Star Destroyer. Each video description offers a detailed breakdown of the parts he used to build these drones, if you want to make one for yourself. For more drone action, Star Wars and otherwise, you can check out Olivier C's YouTube channel. With the long-awaited Entourage movie debuting in theaters today, the Screen Junkies crew decided to shred the original Entourage TV series in their latest Honest Trailer. It's actually quite a humorous look back at the long-running show, skewering the various 'crises' that Vinny Chase and his boys have to deal with on the regular. Don't worry, give it a few more months and I'm sure they'll tear apart the Entourage movie as well. Channing Tatum is teaming up with OMaze for a special contest where fans can win a trip to the Magic Mike XXL premiere in L.A. To help promote the contest, Channing Tatum went all out, going undercover as a bizarre marketing guy to ask fans questions about the first Magic Mike movie, before they would get to watch a screening of Magic Mike XXL in "3D." Of course, Magic Mike XXL isn't a 3D movie, but these fans got the experience of a lifetime, as several dancers emerged from the audience and started dancing, with Channing Tatum even pulling off a few moves before removing his phony costume. For more details on the contest itself, visit Omaze.com. While we impatiently await Quentin Tarantino's next film The Hateful Eight later this year, Weird & Rare has put together a compilation of the director's best references to other films. This three-minute video shows both the original film the director is referencing, and his own film, to show how he can take a nearly identical scene from one movie and make it his own in a brilliant way. Some of the movies are incredibly obscure, as one would expect from QT, but some are more mainstream than you might imagine. Popular Youtube channel How It Should Have Ended have focused their efforts on Marvel's blockbuster Avengers: Age of Ultron with an amusing three-minute animated video. The video centers on Ultron, now becoming a part of the Internet, using his powers to screw with Earth's Mightiest Heroes' passwords and shutting down their internet connection and cable, which, to some (like me...) would be a truly terrifying scenario. That wraps it up for today's Nerd Alert. Do you have any suggestions for future Nerd Alert columns? Hit us up on Twitter @MovieWeb and send us your suggestions, and it may even make it in the next edition. Check back tomorrow for another installment of Nerd Alert.